The basement has been coming along little by little. I was able to complete the decorating on this side of the room yesterday. With the kids home on spring break we were able to finish the last puzzle. Once it was finished I painted mod podge on the front, let it dry, and then painted mod podge on the back as well. Then I framed it and hung it with the rest. I don't think I've ever showed you the room from this angle. This is only one half of the room. which by the way is my favorite part of the room. with all of the framed puzzles. It's nice to be able to check this off of my "to do" list. On a different note, my kids put these Easter crafts together yesterday. I was super impressed because they both used the hot glue gun all by themselves. Apparently my twelve year old daughter has been using one for months in her Technology class. Who knew? Both kids were great with the glue gun and neither of them burned themselves. More than I can usually say for myself. I wish you and your family a very blessed Easter. 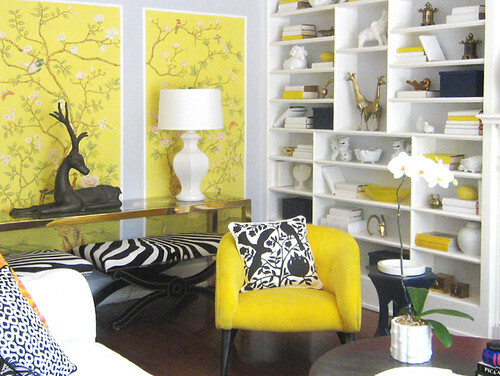 I'd like to welcome Anna Hicks who has written a post especially for DIYbyDesign. We have found some do-it-yourself tasks that parents and kids can partake in around the house. Here are four below, they are all worth the effort and can be money saving as well. You will need spray paint, sandpaper, a paint scraper, wire brush, disposable rags, tack-cloth, newspapers, and wood fill. How to: Examine the furniture and try to find any damages in the wood or any other flaws you may need to clean up. After doing so, prepare your work area. Drop down as much newspaper as you have to protect the floor underneath and sand down any scratches or holes in the wood of the furniture. If there are gaping holes, fill them with wood fill and after that dries sand the surrounding area. Clean the surface with a rag then a tack-cloth to rid the furniture of any remaining dust. Choose whichever color of spray paint you would like and hold the can about a foot away from the surface. Continue to move back and forth until there is a smooth, solid coat. After your first coat allow that to dry then apply a second coat. Wait 24 hours before anything touches the painted surface. There are several DIY projects you can do at home to save money. 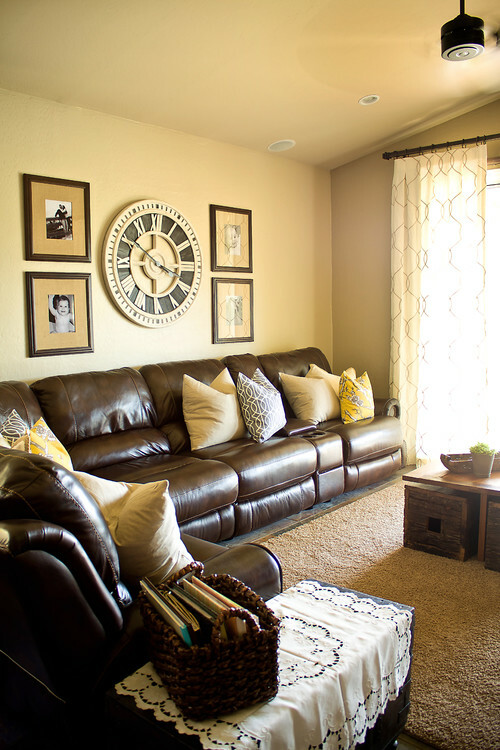 Saving money on home furnishings is a good place to start. There are several DIY projects that can be added into savings like redoing your windows or insulation. You can also click here to learn a little more about saving on electricity within the home. Parents and kids can give leaves a makeover to make a pretty collection. All you will need are a few fully flourished leaves, blank paper, colored paint, disposable sponges, glue, and a pair of scissors. How to: Collect some leaves from your lawn, make sure to get some healthy leaves because it always looks better in the finished product. Parents or kids can trace the leaves onto the blank paper and then cut the traced shape out. Dip the sponge into the paint but not too heavily, then dab the paper cut-outs of the leaf. Kids can mix and match the colors however they would like. Allow the cut-outs to dry, then find a branch from your lawn and glue them to the branch. This will give the look of colorful leaves growing from the branch. Parents can even stick the branch in a vase and repeat the steps to create a full collection of colored leaves. You will need large apples that will stand up on a table, candles, waxed paper, lemon juice, and a potato peeler. How to: Make a hole halfway through the center of the apple, preferably using an apple corer. After this is done remove the core of the core of the apple and insert a candle into the hole. The waxed paper is needed if the hole is too large for the candle. Wrap the candle with the waxed paper around the end of the candle to make it fit tightly. Parents and kids can then decorate the apples by carving light designs around the apple with a potato peeler. 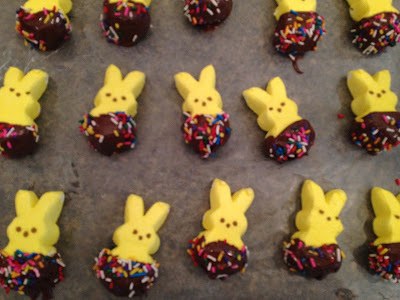 After, cover the designs with lemon juice to keep them browning. After all the candleholders are finished, keep them in a circle and light the candles. Give your daughter a fresh new headboard so that she can wake up to a flower every morning. You will need a 48-inch corrugated display board, knife for crafts, masking tape, glue gun, furry material for flower’s center (around 23 inches in diameter), plastic ties, and sticking mounting bases. How to: Place the corrugated display board flat on the ground and draw a flower shape. If you need a guideline, use a 9-inch pot lid as a template. Then cut out the drawn flower with the craft knife. Take out the masking tape and set it on the two pre-scored lines to stabilize the flaps. With the flower cutout apply the furry material center and glue it down with the hot glue gun. Now that the headboard is finished it is time to place it at its position. Attach the display board headboard to the post of your child’s bed using the plastic ties and the adhesive, sticky mounting base. Be sure to secure the flower headboard so that it is stable against the existing headboard. If there was no headboard prior to this craft then you can simply mount the flower on the wall. Turn your child’s dresser into chalkboard drawers that is always fun and definitely a fun craft to create let alone play with. All you will need is a dresser, chalkboard paint, and a paintbrush. How to: Lay the dresser down on a cloth covering the floor in case the paint spills. Then paint wherever you would like the chalkboard to be on the dresser, the front of the drawers is always a good place. Allow the paint to dry and within the day you will have a useable chalkboard! Welcome to this week's Swing into Spring party. Last week's party was filled with so many awesome ideas and inspiration. I am so excited to see what you have to link up this week. 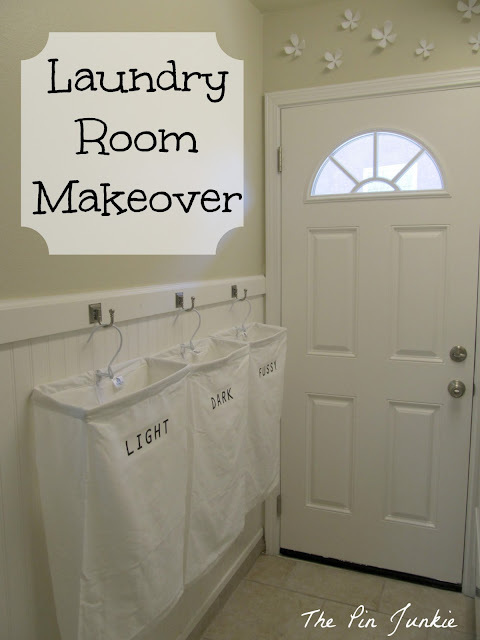 The Pin Junkie shared her laundry room makeover. 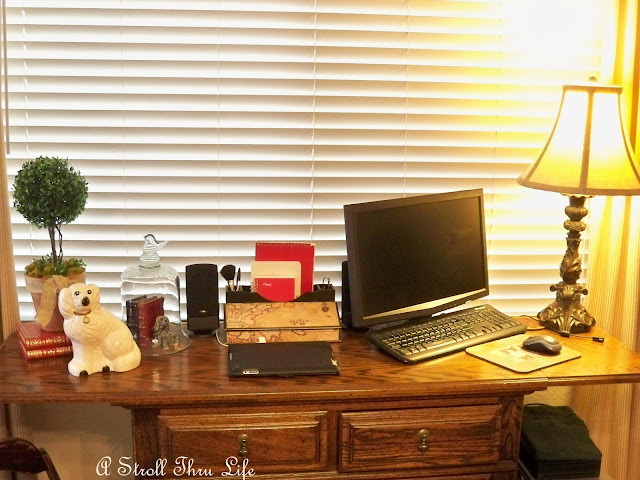 My friend Marty, from A Stroll Thru Life, shares how you can create a home office anywhere. Homey Home Design shares a tutorial for creating a slipcover from a drop cloth. 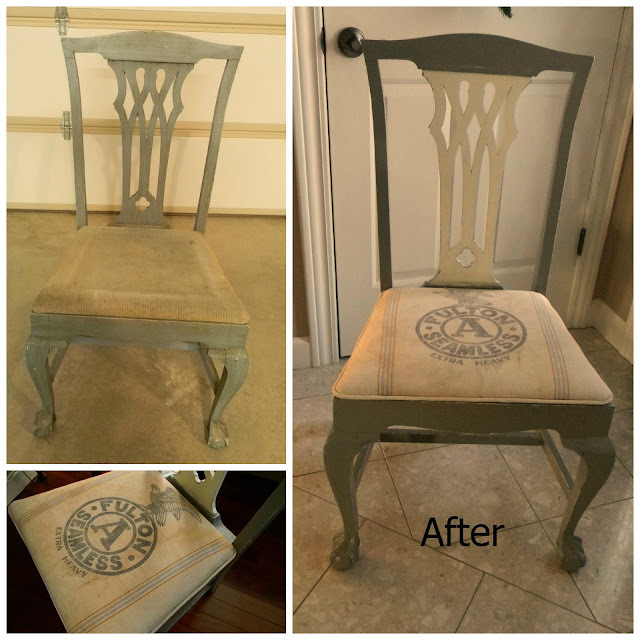 Forever Decorating transformed a garage sale find using chalk paint. Beautiful. 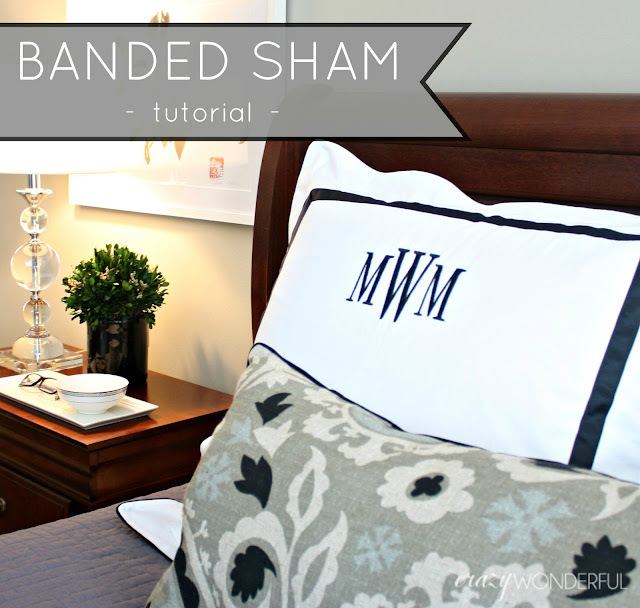 Crazy Wonderful shared a tutorial for making a banded, monogrammed euro sham. You know how much these cost at places like Pottery Barn. This is definitely going on my list of things to do...soon!! 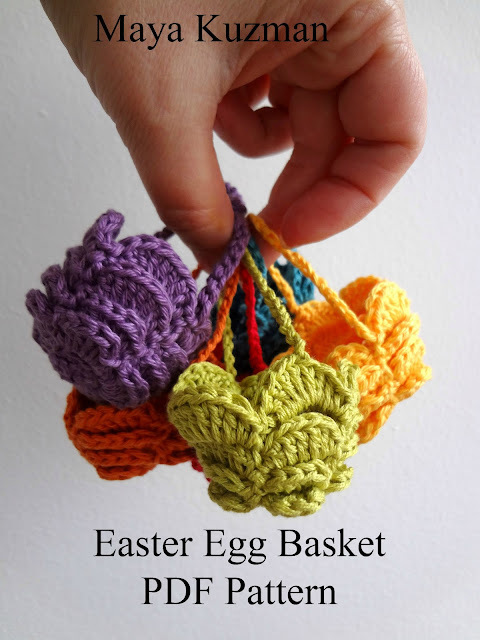 Little Treasures crocheted these little easter egg baskets. How cute!! 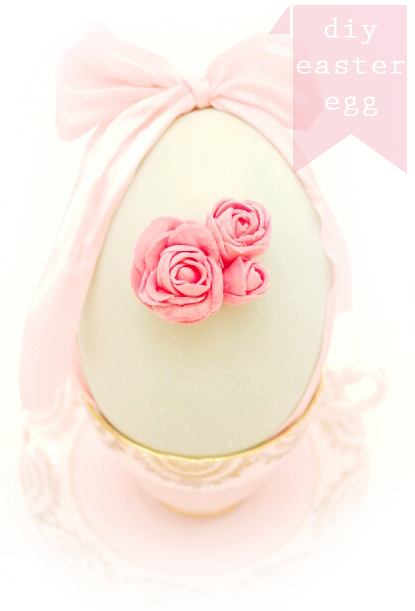 Twigg Studios shared her recipe for DIY chocolate easter eggs. How beautiful! Southern n Sassy shared her recipe for some tasty Easter treats. Southern n Sassy is a new blog so be sure to stop by and show her some blogging love. 1. Please become a follower (if you already follow me on Google, I would love for you to follow me on Linky Followers, Facebook, Twitter and Pinterest as well). 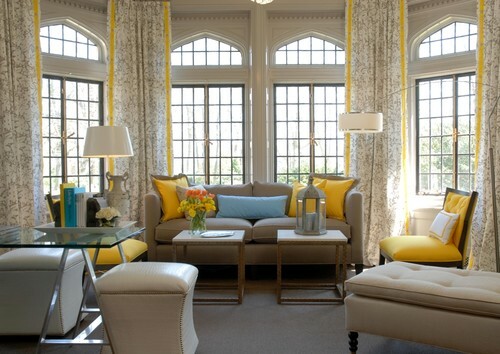 Lately, I am crushing on the color combination of gray and yellow. How about you? What's your latest color crush? Don't forget to stop back tonight for my Swing into Spring party. The party opens at 8pm EST. Hope to see you then.